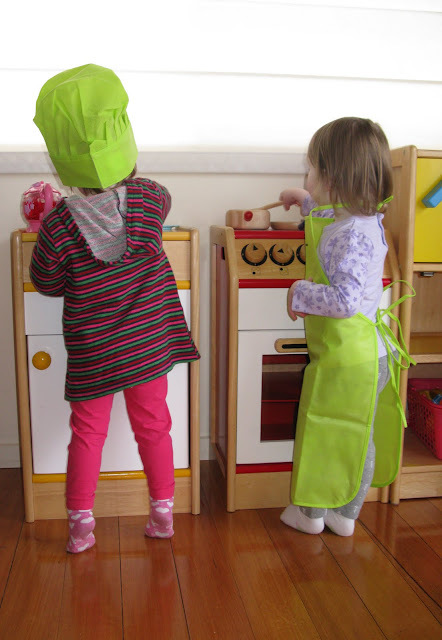 Olivia has a play kitchen that she loves, but she seems to love it so much more when she has a friend to share it with. When her friend Sarah came to visit, (Sarah's brother Nick came too, but he was busy with the play Dyson - well trained Mum! 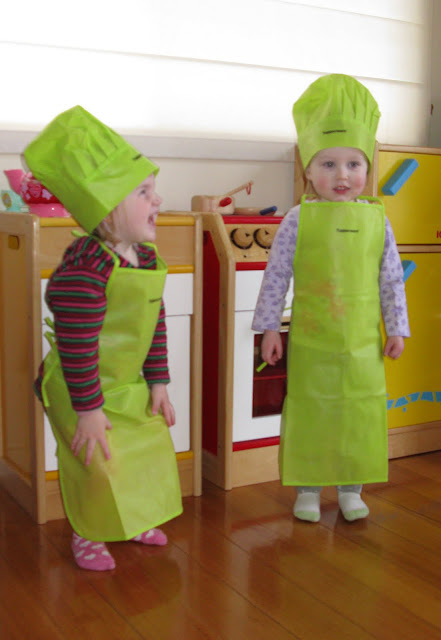 ), the two of them cooked up a storm in their bright green chef outfits! It's so cute watching them play together. Occasionally one of them will say "No, that's mine!" in a stern voice, but even then they seem to just go with the flow. Hooray for two year old assertiveness! 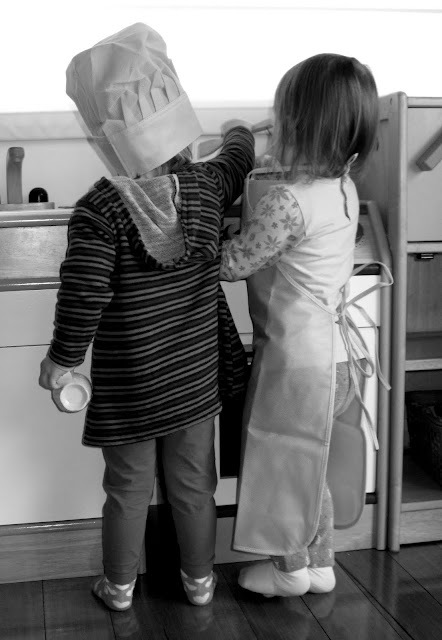 No such thing as "too many cooks" in Olly's kitchen! Beautiful photos. They certainly look like they enjoyed themselves. Look at little Danielle on the right! That's so cute. Maddy seems to be going through with some of her friends. Even though they can't say 'that's mine' yet, the body language says it all! Oh gosh, is that a good thing?? Looks like a fun day was had by them both.